Introducing the Acrohm FUSH, the very first semi-mechanical tube mod. 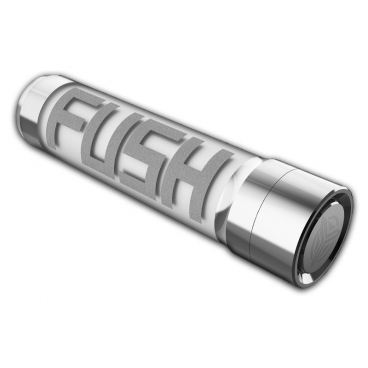 Featuring a full stainless steel and bulletproof poly-carbonate construction, the FUSH is the first of its kind, offering a safe alternative to the typical mechanical tube mod setup while housing a single 18650 battery. The FUSH utilizes a intuitive chip that offers a myriad of protections not found on typical tube style devices, making it extremely safe in comparison. The Stainless Steel body measures at 28mm in diameter at the widest point and fits a 25mm Atomizer flush at its peak.